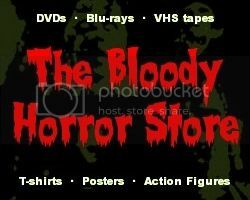 In the midst of everything else, I am now launching a new irregular feature consisting of anything horror movie related which I have bought for a dollar. First up is this Vincent Price double feature DVD from Mill Creek Entertainment. I already had these movies several times over on other Mill Creek packs but I saw an online offer for $1 and decided that I could never have too many versions of my favourite Vincent Price films. 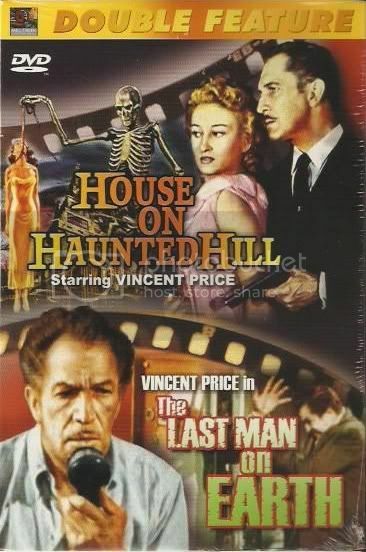 Obviously, I've reviewed them: House on Haunted Hill (1959) and The Last Man on Earth (1960).